A vision. A deadline. A budget. David Stark Design and Production came to Switzer with an extraordinary opportunity to add a unique spin to the décor of the Carnegie Hall Opening Night Gala. 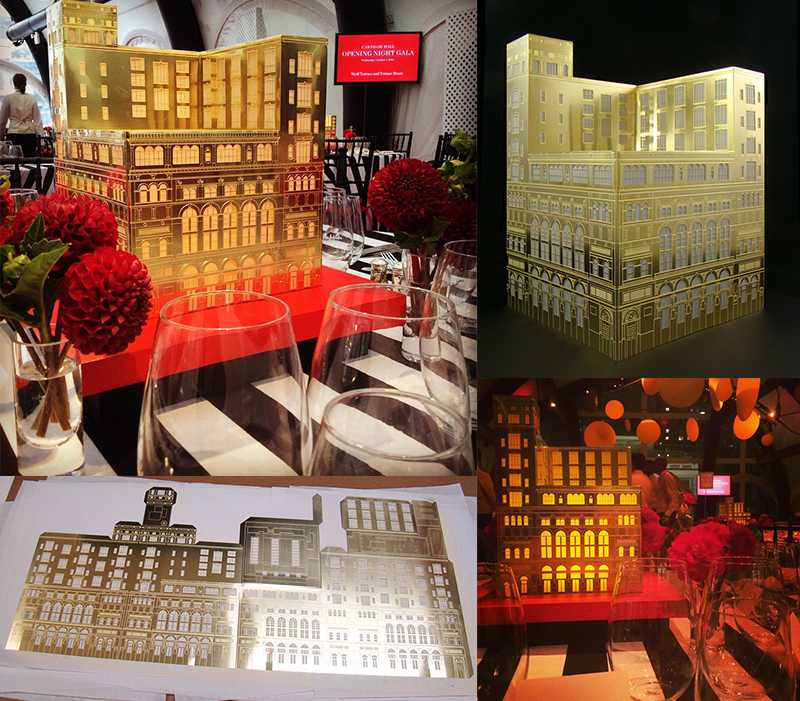 A brass metal replica of the prestigious hall was to be featured as the centerpiece of each table at the Gala; a replication of aesthetic and artistic proportions. The pressure was on. A who’s who list of New York’s celebrities planned to attend the Gala. Every detail had to be perfect, especially the centerpieces. With a swift deadline looming, Switzer worked to construct dozens of visually stunning representations of Carnegie Hall. Compared to any other method of metal manufacturing, photochemical etching (aka metal etching) was the “go-to” method to uniformly and repeatedly create the intricate architectural details of Carnegie Hall. Photochemical etching’s one-pass process saved time and expense. After quickly etching the delicate brass material, Switzer’s team then carefully formed, assembled, and packed each piece for shipment to New York City. The replicas were received just in time. They were a glowing testament – literally and figuratively – of Switzer’s proven track record of quality customization.